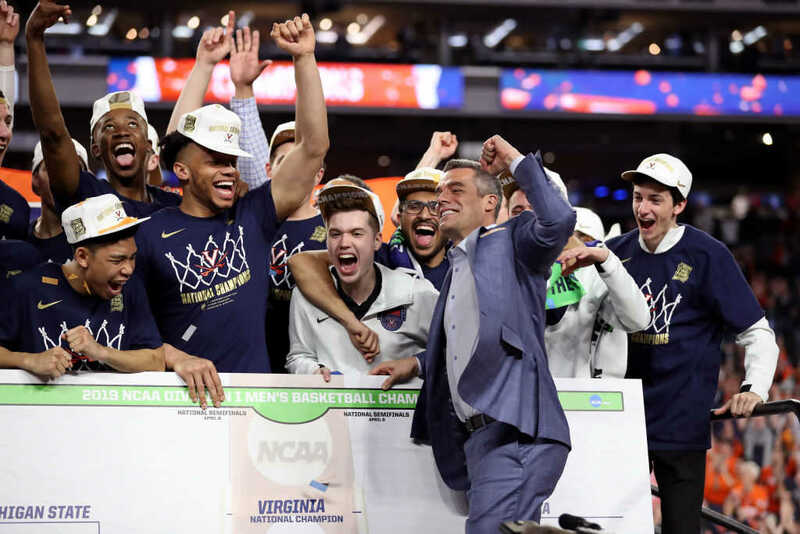 MINNEAPOLIS – The Virginia Cavaliers are the national champions of college basketball after a thrilling overtime victory over the Texas Tech Red Raiders last night in a game that went back and forth throughout the night. In the second half, Virginia came out swinging with a 3 by sharp shooter Kyle Guy. After a scoring run, the Cavaliers were up 40-31 before Tech’s Brandone Francis made a 3 to begin closing the gap again. Then with 4:15 left in the game, Tech’s comeback kicked into high gear. Matt Mooney drained one from the arc for 3, followed by another 3 by Davide Moretti. Then Jarrett Culver made a nice move to the basket for 2 to take the lead back. With the score at 66-65, victory looked possible for Texas Tech. Then with 14 seconds left, UVA’s Deandre Hunter drained a clutch 3-pointer, tying the score and sending the game to overtime. Then it was settled at the free throw line where the Cavaliers clinched their spot as national champs. “I think there was a bigger plan going on here, and I didn’t need it, but I was used in it. I hope that it’s a message for some people out there that there can be hope and joy and resiliency,” Bennett said.